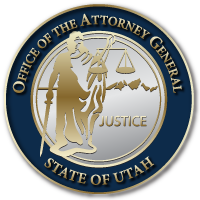 “November has been a particularly painful month for Utah’s law enforcement community. Just days after laying to rest West Valley Police Officer Cody Brotherson, we now face the loss of Utah Highway Patrol Trooper Eric Ellsworth who is in critical condition,” said Utah Attorney General Sean Reyes. “We are deeply saddened whenever there is harm to Utah officers of any agency, whether intentional or accidental, and we pray today for the family of Trooper Ellsworth that his loved ones may find comfort in the legacy of service and honor he leaves behind. This entry was posted in Archived Posts, Recent Posts and tagged Eric Ellsworth, Utah Highway Patrol on June 27, 2018 .